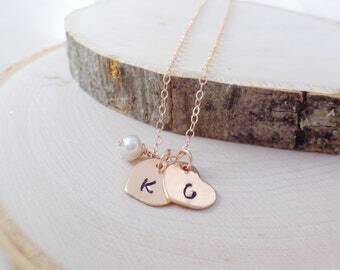 Please indicate the desired initial/s for your necklace, here. 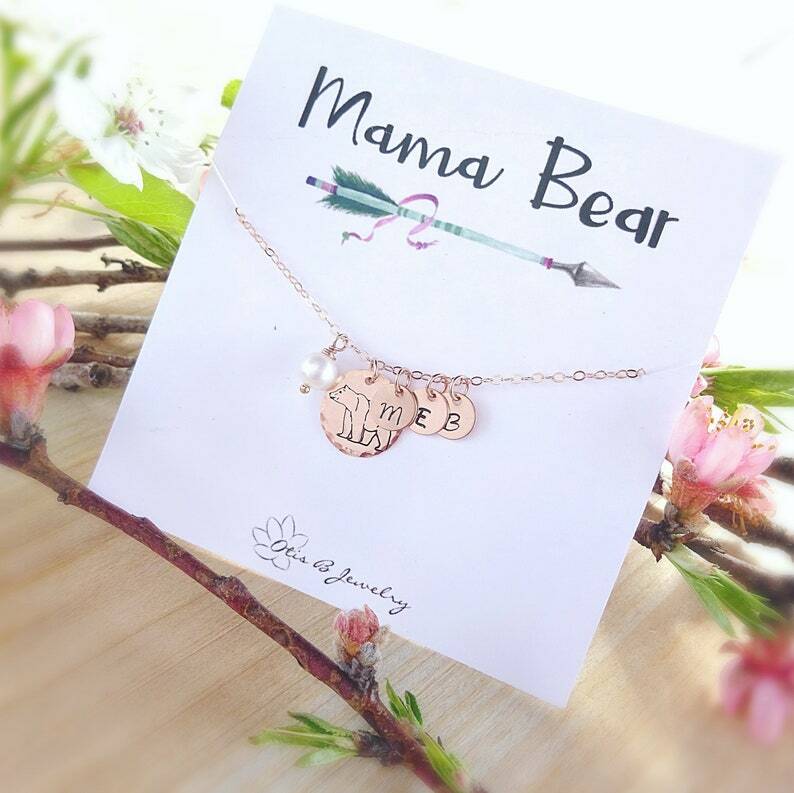 A circular 13mm charm is hand stamped with a beautiful mama bear motif and is flanked by a 6mm cultured freshwater pearl and your choice of initials. 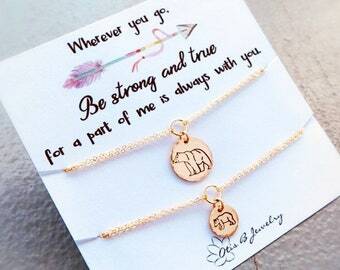 The initial charms are 7mm in diameter and hand stamped with the letters that honor your loved ones. 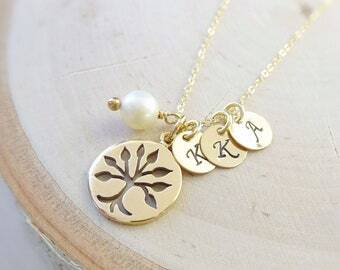 Please let us know what letters you need stamped out in the message to seller section of checkout. Gold and rose gold versions consists of all 14K gold filled (not plated) components (aside from the solid bronze charm). The silver version will consist of 100% Sterling silver components. All finish options are nickel free and safe for those with metal sensitivities. The necklace shown in the example is 17 inches (45cm) in length and a lobster clasp is flanked by tiny freshwater pearls in the back for an elegant finishing touch. 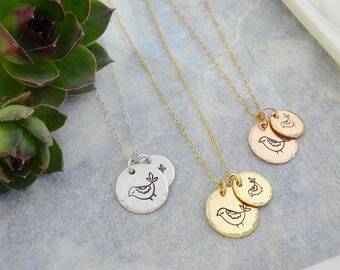 Length may be customized by selecting your favorite length from the drop down menu provided, necklaces up to 20" long are no additional charge. 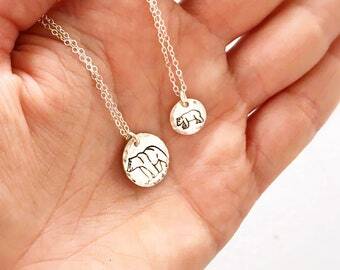 Your necklace will arrive boxed and gift wrapped along with care instructions and a polishing cloth!